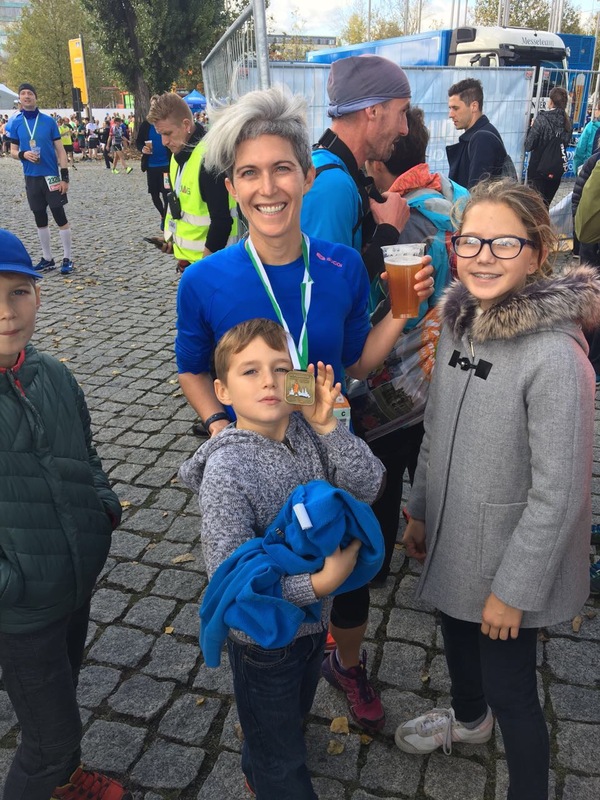 When I registered to run the Dresden half marathon back in the summer, I hadn’t imagined that getting to the starting line would turn into my biggest challenge. I was more worried about whether my knees could handle the 26-kilometer distance. A year ago, I had undergone a tibial tuberosity transfer (TTT) to repair a knee problem that had bothered me for 20 years. The operation was successful; however, I was left with a large screw just below my knee. For months, I had been limited to biking and swimming. There was a point that I had believed I would never be able to run again. As my tibia bone healed (and, yes, it eventually did), I became obsessed with proving to myself that I could still run distance, even if it hurt. I was turning 40 soon. I wasn’t getting any younger or any faster. Now was the time. Although I had run Prague’s half marathon twice, that race wouldn’t be held until next spring. 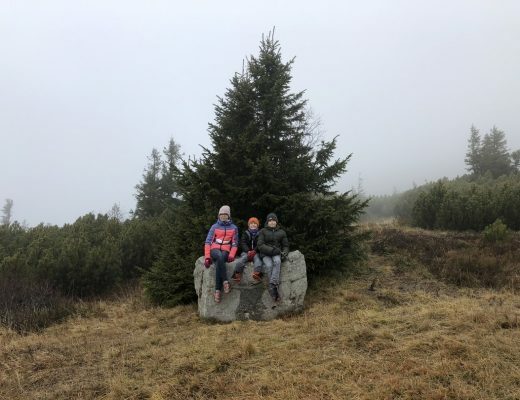 My knee wasn’t strong enough to try the Běhej lesy series on Czech trails that many of our local friends ran. 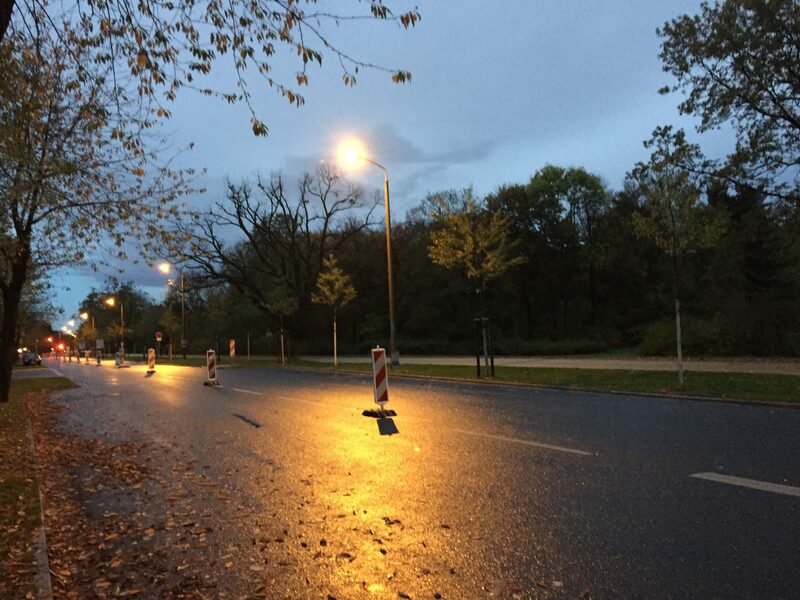 When I found the Piepenbrock race series in Dresden, the flat course, cobblestone streets, and small competitor field seemed like a good fit for my first race post-operation. Ever the multi-tasker, I began planning. From our house by car, it took a little over an hour to reach downtown Dresden. We often took a pre-Christmas shopping trip there, so I figured running the mid-October race would be an ideal way to knock out some holiday shopping. We could shop on Saturday, sightsee, and enjoy the city. The children were begging for a return visit to Karl May’s museum, with its Vinnetou memorabilia and its American Indian art and artifacts. Saying “danke” and “bitte” when they ordered their bratwursts would give them a chance to practice their rudimentary German and remind them of the world that existed beyond the Czech Republic. On Sunday, I would run my race. It would be a win-win for everyone. A few weeks after I registered, Radek received an invitation from his elementary school classmate inviting him to a 30-year class reunion in his hometown the night before the race. It was a no brainer. Radek would attend the event. The children and I would accompany him. 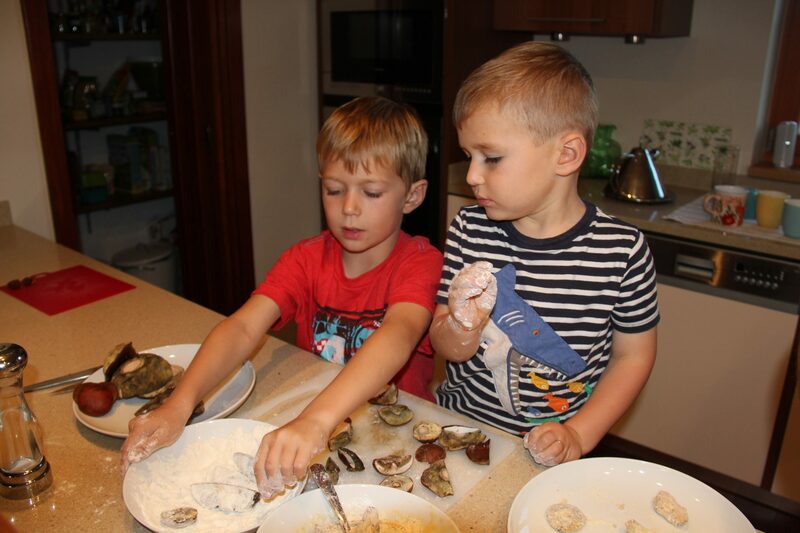 They would sleep at babička’s (Radek’s mother’s). Radek and I would stay in a pension nearby. Radek would party with his former classmates, and I would have the evening to relax and walk the wooded paths around the dam in Jablonec. The following morning, we would rise before dawn, collect the children, and drive the two hours from Jablonec to Dresden. Settled. All summer, I ran. I ran the rolling 6-mile trail loop at Hungry Mother State Park in my Virginia hometown. I ran the flat asphalt of the industrial Brunswick Lane where the sun beat down and tractor trailers rolled past. I startled fawn and rabbits on my early morning runs to the Mormon church behind my parents’ house. In Myrtle Beach, South Carolina, I raced my brother and sister-in-law, who were talking the golf cart out for a morning doughnut run. In the village of Bakio, Spain, I ran the steep, hilly path to San Juan de Gaztelugatxe where locals gave me friendly, if slightly puzzled, looks. In Bielefeld, Germany, I ran on logging trails, through a mini-zoo, and on the walking paths near the town’s castle. 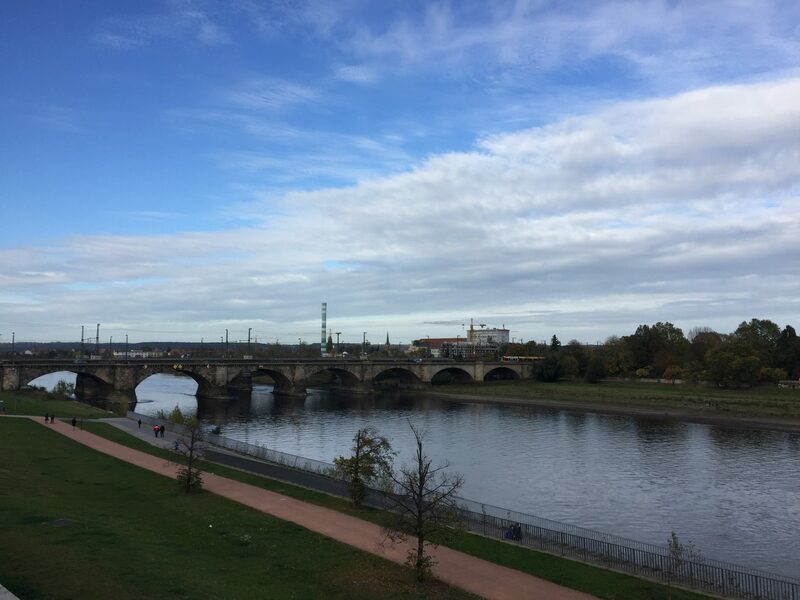 Back in Prague, I ran laps around the perimeter of the Hvězda park, along the paved Vltava A1 and A2 cycling paths, and on the trails near my house. By late September, I had run 20 kilometers on three different runs. In all my 28 years of running, I had never prepared for a single race so thoroughly. My knees hurt, but I was ready as ready as I’d be. As the race drew closer, I began to get a nagging feeling that something wasn’t quite right. 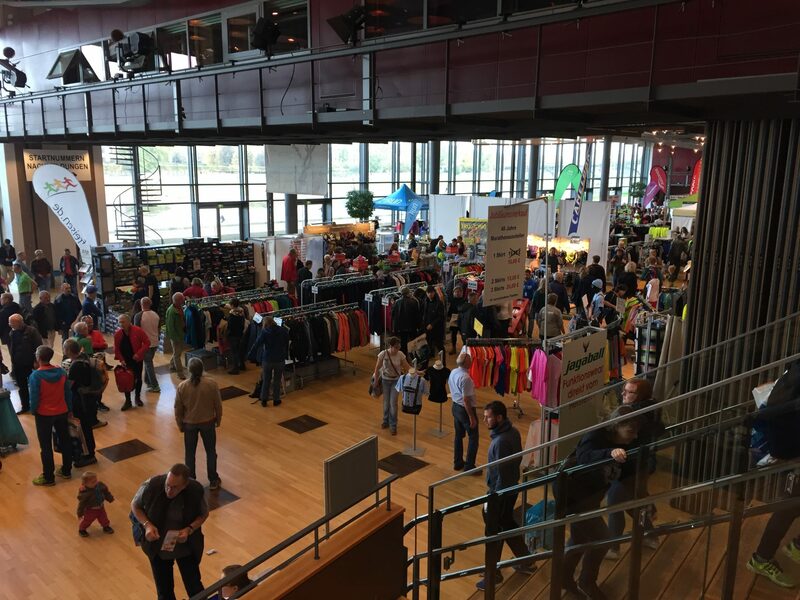 For weeks, I had tried to adjust to the fact that I would arrive in Dresden just in time to pick up my race number before the exhibition hall closed at 9:00 a.m. and make the 10:30 a.m. start. Online, I studied the course plan and the city map. It could be done, but coming to the race last-minute wasn’t the way I had planned it. At all. It took until Wednesday of race week to admit to myself (with encouragement from Czech friends who race regularly), the inevitable. I had trained too hard to spend the time leading up to the race obsessing about whether I would get to the starting line on time. I should go to the race on Saturday, even if it meant traveling alone. I booked a cheap hotel room in Dresden for Saturday night, bought a train ticket, and explained my reasoning to Radek. If my family didn’t have to get me to the race registration, then they could sleep in a bit and still arrive in time to see the end of the race (or at least to drive me back to Prague). Radek raised his eyebrows when he saw how far the hotel I had chosen was from downtown but didn’t say a word. As soon as I arrived at Prague’s main train station, I wondered if I had made the right decision. It would be the first time (ever) I had traveled alone for the sole purpose of running a race. I had no chance of winning the race or even placing in my age group. Wasn’t it selfish of me to take off on my own? I didn’t have long to ponder my choice. As I was standing in line for coffee, I saw the board flash with my train’s arrival. I skipped coffee, jogged to the platform, and hopped on the train. I was traveling light – wearing warm-ups, a sweatshirt, and my running shoes. In the backpack I had borrowed from my ten-year-old son were my racing clothes, a toothbrush, my water bottle, and a book. I had opted not to bring make-up, pajamas, or any of the things I’d usually take for an overnight. I would soak up the experience and pretend, for a moment, that I was backpacking in Europe like I had 20 years ago. 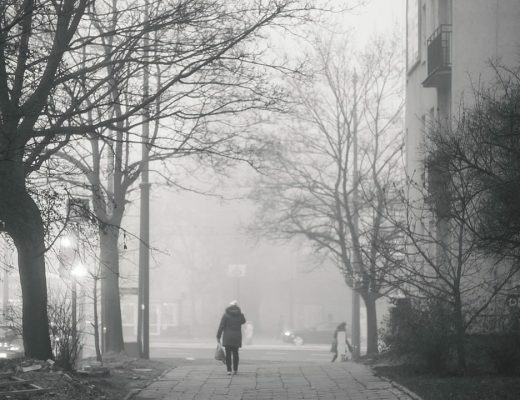 As the train headed out of Prague past Roztoky where I often run, instead of scenery, I saw only fog. The fog thickened as we traveled through Czech Switzerland along the Czech German border. In the Czech Republic and again in Germany, I showed my ticket to ticket agents. No one asked to see my passport. 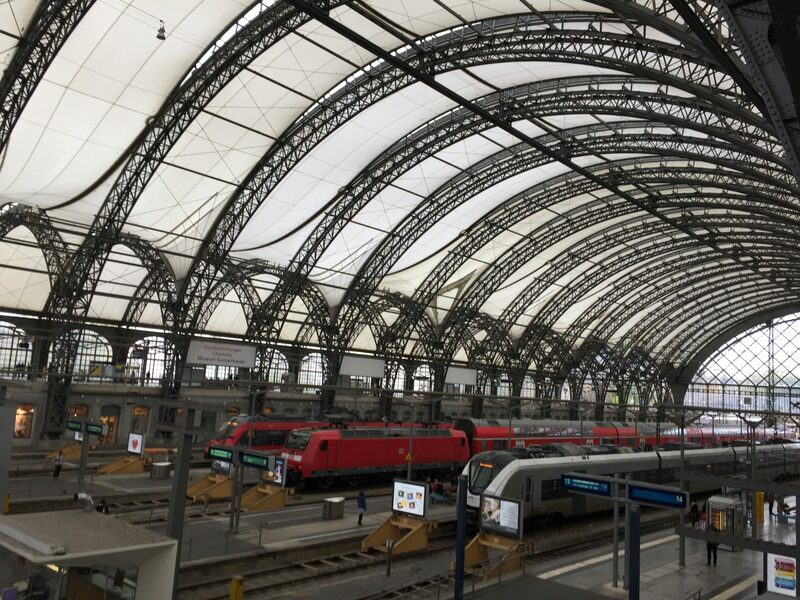 When the train stopped at the main station in Dresden, it was 2:30 p.m. I had the entire afternoon and evening to myself. Once the thrill of my successful arrival wore off, I headed to a food court for a lunch of spicy Thai curry. Even though I knew most runners would have opted for noodles, I couldn’t pass up a chance to eat Thai. After I ate, I needed to find the Congress Center to pick up my race number and arrive at my hotel by nightfall. How hard could it be? As I wound my way through the main shopping streets, with each step I grew more confident in my decision to travel alone. I couldn’t buy anything because I didn’t want to carry it, but it was still a thrill to window shop. I kept checking out passersby to see if (like me) they were wearing running shoes. In my mind, the whole city must know about the marathon and other races that would be run the following day. But, I didn’t find anyone who looked like a runner, and when I stopped in a sports store to ask directions to the Congress Center, the shop assistant had no idea there was a race on Sunday. I kept walking in the direction of the river. It was a beautiful day, and the sun was shining. I heard snippets of Czech as I wandered along. Twice I asked at an information center for directions, only to find that the employees didn’t speak English. I had gotten so used to making my way in the Czech Republic using my Czech language skills that I was surprised to find how handicapped I felt by not speaking German. After what seemed like forever, I walked toward a fairground that reminded me of Prague’s Výstaviště. I finally saw the Congress Center, an impressive building situated on a bend in the river. 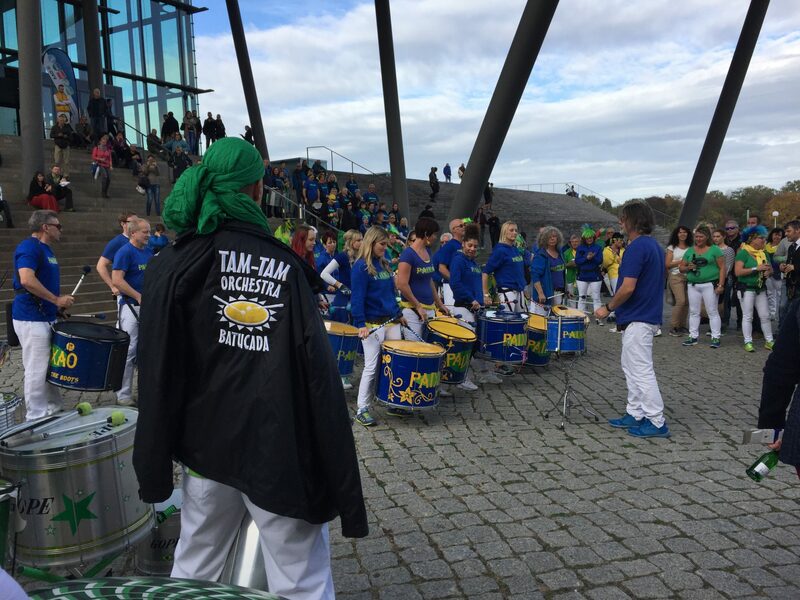 I walked toward the steps of the Congress Center, where a drum band was warming up. I followed signs to the registration where I picked up my race number and chip. A band was playing country music and some racers were eating the pre-race pasta dinner. Again, I heard several people speaking Czech. The Dresden race exhibition didn’t look that different from Prague’s and apart from my difficulty understanding German, I felt as if I belonged. By this time, I was ready to check into my hotel and relax. On my way through the city, I had passed numerous chain hotels close to the exhibition center. But, I was still confident that I had gotten a great deal on Booking.com for my room (40 Euros), which said it was within a few kilometers from the city center. I went to the race info counter to ask for directions on public transportation. None of the German volunteers spoke English, and as they talked, I had the first inkling that getting to my hotel might not be as easy as I had imagined. More than an hour later, after riding a tram, a commuter train, and a bus, I came within a kilometer of my hotel just as it was getting dark. A light rain was falling, and my legs were weary. I had stopped to buy food for dinner and breakfast, and my backpack and race gear weighed on my shoulders. Using the Waves application, I walked in the direction I thought my hotel should be. I regretted not asking Radek’s advice before I had chosen my accommodation and started to worry about how long my return trip would take in the morning. My hotel turned out to be an empty villa in a residential neighborhood. There was no reception to greet me (just a note pinned to a billboard addressed to Frau Prucha with a code to the main door) and no hotel bar (or nearby grocery store or restaurant) where I could buy a drink. The hallway was dimly lit, and my basement room window opened to the backyard where trash was kept. But the room was clean, the heating worked, and I had hot water for a shower. I had gotten what I wanted – I was (totally and completely) alone in Dresden. I didn’t think I’d fall asleep because I was nervous someone might break into my room, but I did. In the pre-dawn darkness, as I walked toward the commuter train I’d ride back to the center, I saw workers preparing a tent and putting out orange traffic cones to divide the road. I realized (with a shiver of excitement) that I was walking along part of the race course. When I got to the Congress Center (with time to spare), I had a coffee and waited. Radek and the children arrived to give me hugs, take my backpack, and run a few warm up laps with me around the parking lot. As the starting gun sounded, I shuffled into a slow jog along with 3000+ other half marathon and marathon runners. No matter what happened now, I had made it to the start. The race was on. I pushed all the energy I had into a final sprint. As I crossed under the banner, I realized (in horror) that the actual finish line was still another 500 meters ahead of me. Slowly, almost walking, I stumbled across the finish line, nearly throwing up. Despite misjudging the finish, I had run a PR of more than 20 minutes. The kids were pumped from watching the races. There had been a 4-K Family Run and a 10-K before the marathon. They had ordered bratwursts and had walked along the river near the Congress Center. They were sorry there hadn’t been time for the museum. Next time, they said, they wanted to run with me, too. As I retold my race story to family and friends, I realized that getting to the starting line on my own terms had been as important to me as running the 26 kilometers. I might no longer fit the profile of a youthful backpacker, but that didn’t mean that I couldn’t still have my own adventures. Traveling alone by train was something I planned to repeat. And, assuming my knees hold out, running another half marathon might be in my future, too.